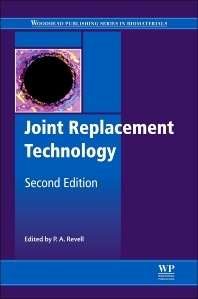 This second edition of Joint Replacement Technology provides a thoroughly updated review of recent developments in joint replacement technology. Joint replacement is a standard treatment for joint degradation and has improved the quality of life of millions of patients. Collaboration between clinicians and researchers is critical to its continued success and to meet the rising expectations of patients and surgeons. Part one introduces the advances in joint replacement technology, tribological considerations and experiments, and immune and regenerative responses to joint replacements. Part two covers the materials and techniques used in joint replacement. The advantages and disadvantages of different metals are explained here, as well as the use of ceramics. This section also addresses challenges in joint bearing surfaces, design, and cementless fixation techniques. Biological and mechanical issues are considered in part three, including healing responses to implants and biological causes of prosthetic joint failure, and a new chapter on imaging of joint prostheses. Each chapter in part four describes the clinical challenges of replacing specific joints, with specific focus on hip, knee, intervertebral disc joint, shoulder arthroplasty, elbow arthroplasty, and pyrocarbon small joint arthroplasty. Thanks to its widespread collaboration and international contributors, Joint Replacement Technology is useful for materials scientists and engineers in both academia and biomedical industry. Chemists, clinicians, and other researchers in this area will also find it invaluable. Dr Peter A. Revell is Emeritus Professor at University College London. Formerly Professor of Histopathology at the Royal Free and University College Medical School, he is a past President of the European Society of Biomaterials. Professor Revell is a Fellow both of The Royal College of Pathologists and the International Union of Societies for Biomaterials Science and Engineering.